Pockets of brilliance and lots of mediocrity sums up my assessment of New Mexico wines. It will probably come as a surprise to learn that New Mexico is the oldest wine region in what is now the U.S. When Spanish conquistadors moved north out of Mexico in the 17th Century, Spanish priests followed in their wake bringing vines from Europe to provide wine for communion. The first vineyards, likely planted with the Mission grape, were established in 1629. The wine industry continued to grow even as the Spanish were thrown out and Mexico gained independence, producing 1 million gallons of wine in 1884. 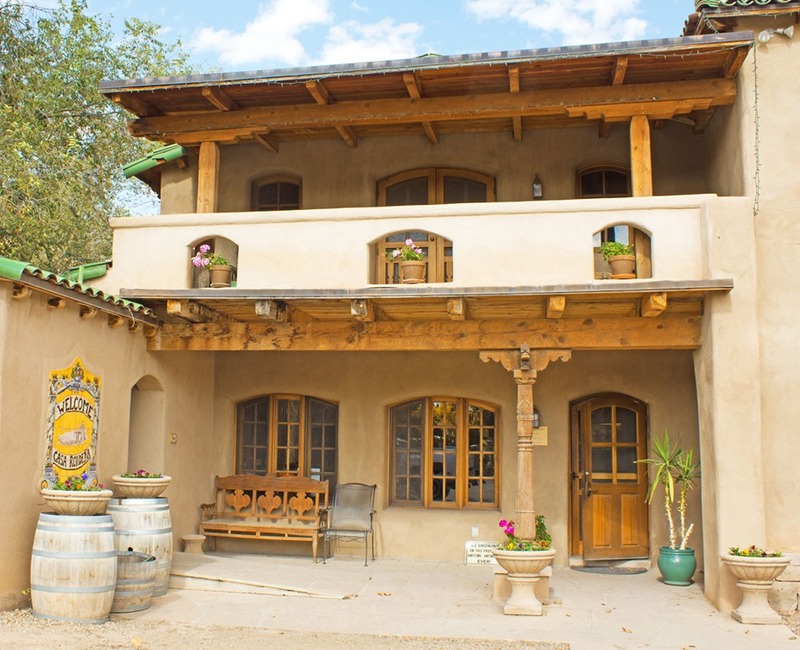 But not long after New Mexico became the 47th state in the U.S., prohibition devastated the wine industry and it remained dormant until La Viña Winery (still in operation) began planting French varietals in 1977. 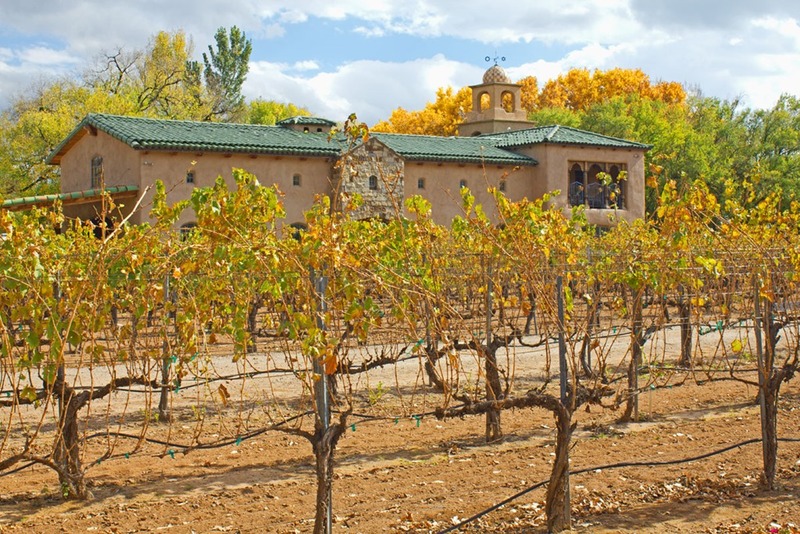 Today, New Mexico’s wine region is growing rapidly with 44 wineries in operation. It has the sun to ripen grapes and soils conducive to making wines with complexity and finesse. What it needs is a broader, sustained commitment to quality and good luck from the weather Gods especially in winter. Vintners in New Mexico have some advantages but face unique challenges. Although most of the grapes are grown in the southern part of the state, especially near Deming where winters are relatively mild, there are some hardy vineyards in the north near Albuquerque, Santa Fe, Taos, and Alamogordo that manage to survive frigid winter temperatures, at least in most vintages. Summer days are, of course, very hot but cool nights slow down the ripening process allowing flavor development and keeping acidity in the grapes. Disease and insect pressure tend to be low because of the dry climate. The viticultural challenges are late frosts and cold winters that will destroy vines not suited for the climate or planted in the wrong location. In some of the higher elevation vineyards, bud break happens the last week of April and harvest begins the last week in August. This is a short, hot growing season that requires skillful management in the vineyard to develop flavor before the sugars get too high. The cultural challenges are significant as well. The local population enjoys sweet wines and many tasting rooms feature them, sometimes pouring them first before getting to the dry wines. That is a boon for local traffic and sweeter wines play nicely with their chile-based local cuisine. But for wine lovers used to dry wines, it takes some getting used to, especially because tasting sweet wines first in a tasting menu will cause the dry wines to taste tart and thin in comparison. This is a dilemma for wineries. 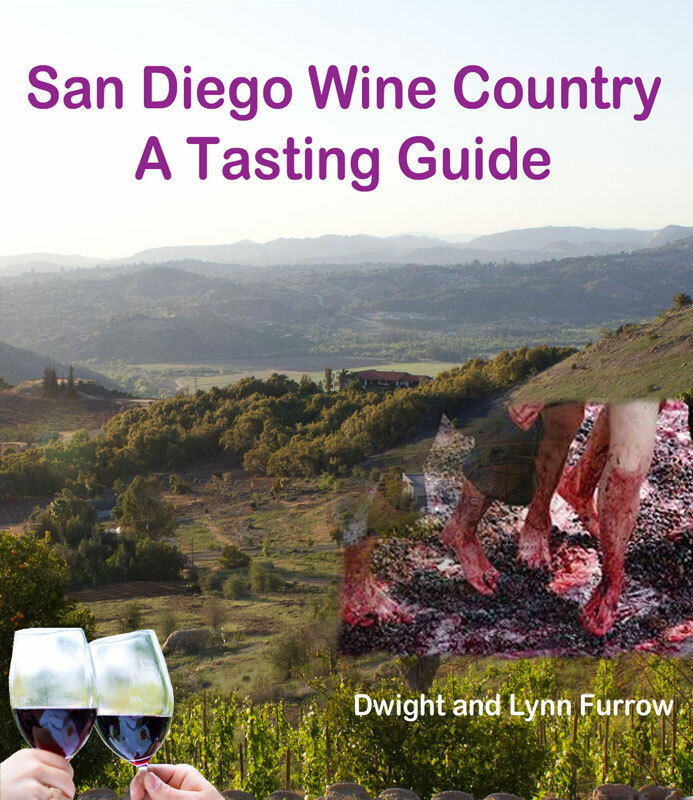 Some choose to satisfy local tastes; others want to compete for wine lovers more accustomed to drier styles. Some try to do both with varying degrees of success. One wine bar that offers tastings of New Mexican wine serves their pours in double tequila shot glasses—not so good for concentrating aromas. So there are some growing pains here. Nevertheless, they have the soil and the climate to make fine wines and there is remarkably high quality among the best producers. The story of New Mexican wine cannot be told without reference to Gruet, the sparkling wine producer. In the early 1980’s Champagne vigneron Gilbert Gruet decided to expand into the new world and settled on land south of Albuquerque as the place to make sparkling wine in the French style. They have since grown to achieve nationwide distribution. In 2014, their production was reported to be 125,000 cases. Gruet sparkling wine is a great bargain at the low end with some bottles selling for around $12. But their pricier, premium sparklers are excellent as well if you’re looking for a celebration wine. If you visit their tasting room, be sure to taste their premium menu—it won’t disappoint. Their non-vintage Sauvage (Brut nature) stood out. It was crisp and taut with abundant apple, lemon, and brioche flavors and a long, chalky finish. However, success brings its own challenges. Their national distribution is putting pressure on their supply of New Mexican grapes especially in challenging vintages. They now import some grapes from Washington, Colorado and California to fill their fermenters although they intend to bring more New Mexican vineyards online to keep up with demand. Now in partnership with the large, Washington-based wine company Precept, with growth and reputation comes the inevitable corporate-style tasting room currently undergoing some remodeling. Will high-yield viticultural and bottom line corner cutting follow? Time will tell but this is a remarkable success story. The other large winery in the state is St. Clair. A significant portion of their production is sold out of their bistros in Las Cruces, Albuquerque, and Farmington. They serve a full line up of whites and reds with several price tiers. I can’t comment on their food and their bistros are attractive but their wines were uneven. Their Lescombes line of more pricey limited release wines were mostly competent (except for a dreadful Syrah) but the lower priced reds left much to be desired. Among whites the Chenin Blanc stood out as interesting and refreshing. Happily, artisan winemaking is alive and well in New Mexico. While too many wineries are focused on becoming tourist destinations and are content to pour wine of average quality or worse we found some real gems that would be standouts anyplace. Casa Rondeña, located on beautiful grounds not far from downtown Albuquerque, has been in business since 1995, and that experience shows. Inspired by the art and architecture of Spain, winemaker/owner John Calvin makes wines of structure and finesse. Red wines are their specialty, especially the Bordeaux varietals and Syrah which are offered as blends as well as stand-along varietals. Here is my review of their Cabernet Franc and the blends are equally outstanding. Milagro Vineyards also excels. This is a small operation producing only around 2000 cases in good vintages with all grapes coming from vineyards owned or controlled by winemaker/owner Rick Hobson. Just a few minutes of conversation with him shows he cares little for big profits, big crowds or marketing hype. It’s all about quality which shows up in every bottle. These are old world-style wines with great elegance and vitality. The reds are held in neutral oak for at least two years before release, an expensive proposition for small wineries, but necessary in order to develop complexity and texture. Here is my review of his Zinfandel. These two wineries were among the most impressive we encountered this year. In Southern New Mexico, the area around Las Cruces is developing into a center for tasting rooms and wineries. 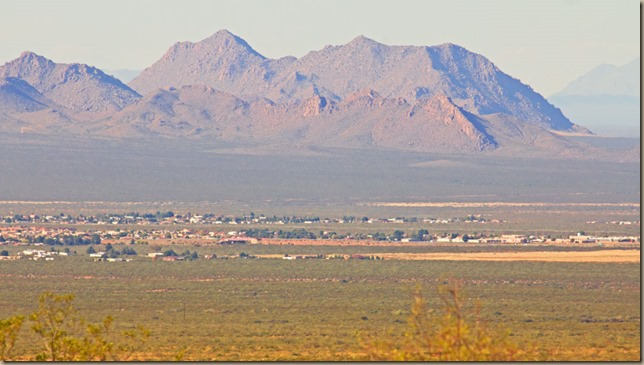 Winemaking here is less developed than in the North, perhaps due to the wealthier clientele in Albuquerque, but these wineries around Las Cruces show considerable promise. We enjoyed the Cabernet Sauvignon and Tempranillo from Amaro Winery, an urban winery in Las Cruces. They also make a good Refosco, an Italian varietal that gets some attention in New Mexico. But perhaps the best wine from the Las Cruces area was an orange wine, called Queue Tendre, from Rio Grande Winery. An orange wine is made from white-skinned grapes that are left on the skins and seeds to extract some color and flavor and then are aged in oak. Winemaker Gordon Steel doesn’t publish the varietals that make up this wine but it is one of the better orange wines I’ve tasted. With 3% residual sugar it has plenty of sweetness but the tannins from the extraction give this wine a firm texture and racy acidity balances the fruit. The lemon oil aroma was simply beautiful. And near the Texas border La Viña Winery, the oldest, continuously operated winery in the state, makes simple, earthy wines, soul-stirring and satisfying. Their pretty, light-bodied Sangiovese won me over. This is a region still finding its way seeking the right balance of entertainment venues and wine quality, goals which are not always in alignment. The reds are more highly developed than the whites. But as Rick Hobson told me “just about anything will grow here.” I would like to have a better handle on what is distinctive about New Mexican terroir. But it’s still too early in the game to have distinctive characteristics emerging consistently. “I don’t think we know yet what our terroir is,” said Hobson. Generally, varietals that ripen quickly and withstand extreme temperatures will do well. But they’re still sorting out how soil characteristics and clonal selection interact with climate. It should also be noted that many wineries are serving wines made from non-vinifera varieties that are more cold tolerant than our familiar vinifera varieties. I have yet to develop an appreciation of these wines but these experiments are exciting because, if successful, they greatly expand the possibilities for New Mexican vintners. As with all emerging wine regions, to reach their potential there must be a critical mass of producers dedicated to, not just making decent wine to sell, but to making the best wine they can. New Mexico is approaching that critical mass. As noted, the challenge is cold winter temperatures. Many vineyards are still recovering from the 2011 winter that destroyed vines and harmed yields. We were able to taste wines from only about half the wineries in the state. I suspect there are more gems out there to be discovered in our next visit. Cross posted on Edible Arts on 1/5/2017.